Paul Collins has written many books, mostly for younger readers through to young adults. He is best known for his fantasy and science fiction titles. Min is a delight to work with. It seems as though she is forever at her computer — questions never went unanswered more than an hour or so. 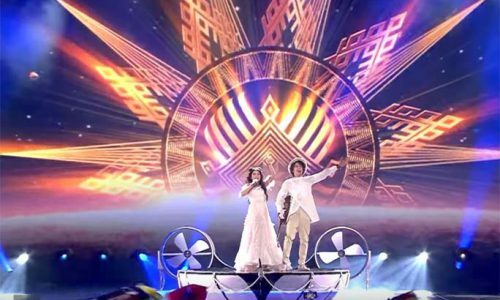 People on Facebook are saying the new website is: “interesting and responsive”, “captivating”, “the Avatar of websites!” and “the website looks stunning”. I’m so chuffed I have given Min two more sites to re-create. Paul had an old website that had been around since the 90’s, and wanted a fresh update to display and sell his books, with a responsive design so that the website worked well on handheld devices, as a large portion of his market are librarians viewing his website on their phones. He wanted a design that would appeal to his general target market – young adult readers. Paul supplied several pieces of artwork Marc McBride is preparing for an upcoming project they are working on together and during the design phase we came up with a look that made a feature of these awesome, detailed images. 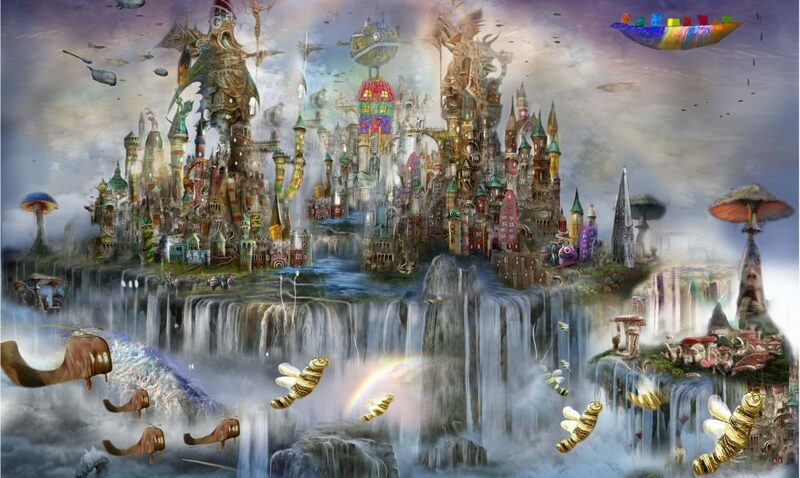 The rest of the site adopted a fantasy-nature, in keeping with Paul’s primary genre, while retaining a clean layout and structure to make it easy to find what you’re after. We built the site in WordPress, because it is by far the easiest CMS for a client (and his interns) to manage content through. The books section was custom built to account for the custom fields required, and the shop was built on Woocommerce with a Paypal and Stripe integration for online payments. The Woocommerce templates were modified so that the majority of the information came directly from the Books section of the site – to keep the client from needing to input data about his novels more than once. The website is responsive – as all websites now days should be – and so that it displays beautifully on any screen it’s viewed on. All in all it’s a beautiful refresh to Paul’s brand with tons of handy automation to make managing it as easy as possible. Looking forward to working on the next website with Paul! 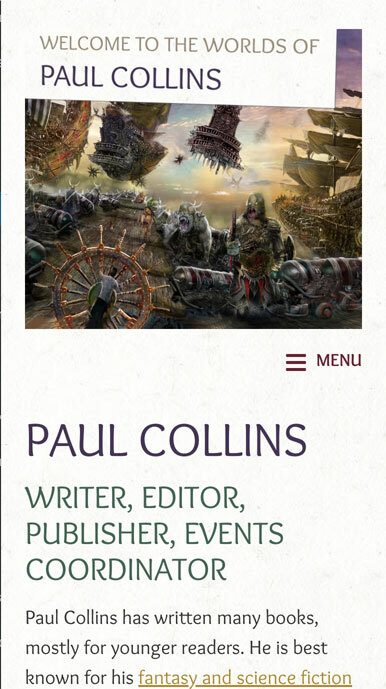 The Paul Collins website is beautifully responsive. 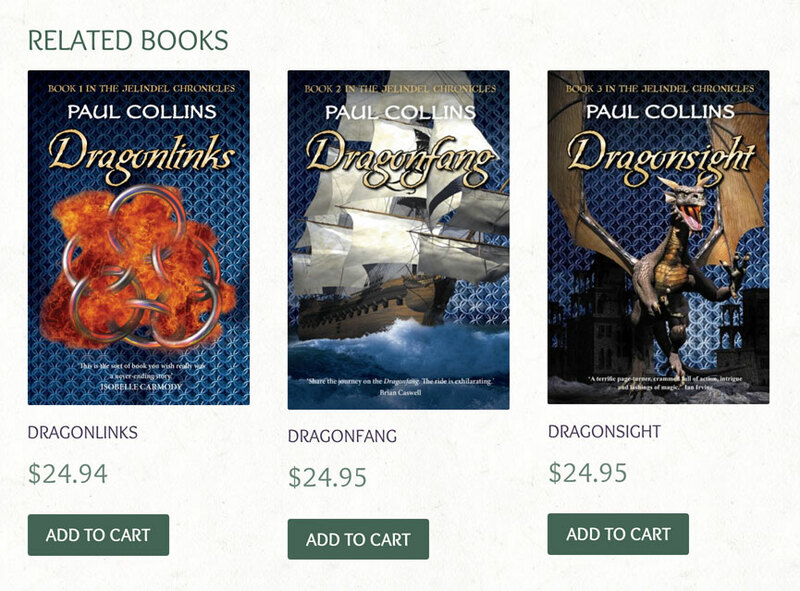 Custom-coded books section, to display all relevant information about each of Paul's novels. 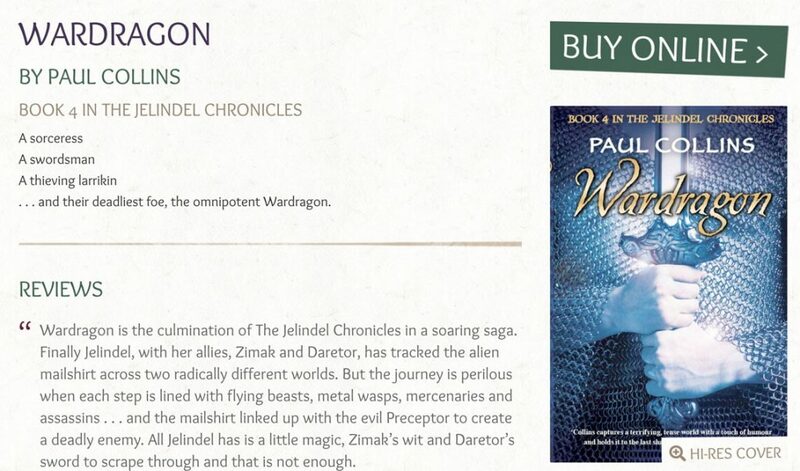 Paul has the ability to list and sell his books, including adding related books of a series to the bottom of each book sale page.